It’s a wise choice to build a professional and beautiful website for university, college, academy, school and other education institutions with WordPress platform on a reasonable budget. 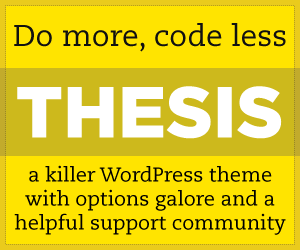 There are amount of useful WordPress plug-ins to extent the functionality of the themes without too much cost. Surely Internet will have a positive effect on the students recruitment and their learning with the help of a perfect education website. The education WP themes provide specific features such as blogs, course pages, staff pages, galleries, and more. Some of them integrate WooCommerce and enable you to create online courses for your learning management system. There’re themes for preschools, child school, or kindergartens as well. In this collection, we will collect the best education WordPress themes for university, college, academy, school or even kindergartens, daycares, preschools to build a perfect education website. Hope you will love it! After you check out the themes below, take a look at the latest collection of this years best education themes. Browse them here. Credence is the Ultimate Multi-Purpose WordPress Theme with modern and clean multi-purpose design useful for any type of website. Created using modern HTML5 and CSS3 standards, Retina Ready is enable and disable in theme options, absolutely responsive design that makes your site will look great on all of devices. Credence is completely compatible with WooCommerce, translation Ready and WPML certified with built in RTL support that give you the opportunity to run multiple language on your site. Credence is built on bootstrap 3’s excellent responsive framework and crafted with lots of features and sittings, such us choose boxed or full screen layouts, unlimited background colors, Parallax, Video, and Solid Color background areas, any accent color, any font color, and take advantage of our amazing advanced Page Builder Elements. Choose from all Google fonts, use all Font Awesome icons, create any number of pages, and much more powerful, effective and quality elements that help you to design your amazing website with professional looking. Invent is an education WordPress theme with unique look and feel, designed to meet the needs of Schools, Colleges, Universities, websites of educational institutions and their requirements. Invent has been tested extensively to ensure that it works seamlessly with LearnDash, the popular Learning Management System (LMS) for WordPress. With flexible and rich features, it also allows you to create sites for a wide range of industries and styles: agencies, corporate websites and small businesses. The theme support for wide backgrounds that span entire browser width, premium shortcode builder, trendy mobile menu, easy to use YouTube/HTML5 video sections/backgrounds, smooth scrolling parallax backgrounds/headers, animations, statistics, revolution slider, bold typography, unlimited colors, unlimited page/post header styling etc. makes it one of the most modern themes in the its category. BeTheme is the biggest all-in-one responsive Multi-Purpose WordPress Theme, the best multi-site theme you’ve ever worked with, 78 demos included with easy 1-click installation. So far you can created websites with it for: electric, veterinarian, loan agency, charity agency, sitter, moving company, barber, health magazine, book writer, plumber, art agency, interior design company, webmaster, application, seo agency, university, event company, developer, car rental, band, gym, designer, marketing agency, hosting company, travel agency, real estate company, photographer, renovator, small business company, hotel, mechanic, lawyer, school, shop and much more. With amazing design quality, highly customizable, advanced options panel and Drag & Drop builder tool give unlimited possibilities and make it perfect for websites with more than one theme, and makes your work so much easier. Entrepreneur is an awesome business WordPress Theme specially designed for entrepreneurs, small business and all professionals, such as Coaches, Consultants, Physicians, Contractors, Trainers, and many more. Entrepreneur comes with unique portfolio layout, beautiful responsive design leading to have a great looking on any device. Full parallax support, 5 One Page Demos, 1 Multi Page Demo, flexibility and customizability, feature availability, Entrepreneur helps convert visitors to customers using built in conversion forms, booking, and scheduling calendars. There is so much you can accomplish with this theme. Little People, Kindergarten is a responsive WordPress theme designed with HTML5 and CSS3 for kindergarten, child care or nursery website. Features packed with premium WordPress plugins you will ever need and prebuilt pages that are optimised for the childcare and nursery industry. Built with Twitter Bootstrap that re-shape itself and work perfect on all devices and screen sizes. With Visual Composer builder plugin you are able to take control over your site and build any responsive layout. Theme Slider Revolution plugin with a selection of amazing animation effects. Essential Grid plugin included that allows you to display portfolios, blogs, galleries, WooCommerce, price tables, product sliders, various content formats in a highly customizable grid. Timetable plugin will help you to create a timetable view of events. Our Theme is ready to be translated multi-language with WPML plugin, and also it allows your customers to get immersed in your content with full screen images, parallax video and image backgrounds, elegant typography, angled rows and animations. Fully supported with detailed documentation, video tutorials and premium forum support you will never be left wondering how to create your perfect kindergarten WordPress theme. If you have any suggestions for awesome themes, please leave us a message below or contact us directly. It will help us to serve you better. Thanks! OnWPThemes is a blog all about WordPress Themes - Find the amazing beautiful Premium WordPress Themes coupled with advanced functionality and get great money off deals with coupons.